Recent high-profile attacks on healthcare organizations have highlighted the need for data security that goes far beyond simply being compliance. Protected health information (PHI) has a much higher value on the black market than credit cards and cybercriminals are now in constant attack mode. Alas, cyber attacks on healthcare will continue to escalate as long as hackers continue to see healthcare institutions as soft targets. This session will outline the 4 T’s required to build a robust security posture to better protect patient data – Training, Timely update to systems, Testing and Technology investment. Session attendees will receive a pragmatic plan (applicable to any size of organization) that will demonstrate the key steps required to building a security environment that safeguards medical data both now and in a transformed healthcare environment. Ryan Witt is a recognized Healthcare Cyber Security Consultant and a regular speaker at core industry events such as HIMSS, CHIME, IHT2, AEHIS, etc. Most recently, Ryan was Fortinet’s Vice President & Managing Director, Healthcare Industry Practice and responsible for the strategy, solutions and sales for the company’s healthcare business. Based in Silicon Valley, Ryan works closely with healthcare industry leaders to demonstrate the importance of info security as a key enabler for enhancing access to high quality patient care, reducing the cost of care and ultimately improving patient outcomes. Ryan is passionately interested in technology’s role for transforming healthcare, and believes a comprehensively connected planet with secure access to patient data and a borderless path to medical expertise is essential to delivering better health outcomes. As part of this effort, Ryan is active in the Workgroup of Electronic Data Interchange (WEDI), a policy body that advises the Department of Health and Human Services, where he was a contributor to the 2013 WEDI Report, Co-Chair of the Privacy & Security Workgroup and has been elected to the WEDI Board of Directors. Ryan also has been elected to the Association for Executives in Health Information Security (AEHIS – a CHIME organization) Advisory Board. Prior to Fortinet, Ryan founded and led Juniper Network’s Healthcare Industry Practice and was the Chair of Juniper’s Healthcare Advisory Board. 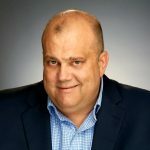 Ryan has also held leadership positions at Hitachi Data Systems, BridgeHead Software, and ClearDATA having worked within Health IT for almost 20 years.